Variable rate mortgages are one of the most popular kinds of loans in Australia. This is great news for those on the lookout for mortgages, as it means lenders are keen to compete for your business. Variable mortgages are mortgages that have an interest rate that can go up and down over time. The other main type of mortgage available to Australians is a fixed rate mortgage which, as the name suggests, has the interest rate locked in, usually for between one and five years. Variable rate mortgages can give you more flexibility and services, and can also potentially leave you with more money in your pocket, with loan repayments normally lower than a fixed rate loan. It also provides you with the opportunity to pay your loan off faster if you wish, potentially saving more money over the long term. At Mortgage House we offer both kinds of loans, and can talk you through which options can help you reach your property goals. How does a standard variable rate loan help me? There are two types of variable rate mortgages – basic and standard. The main difference is a standard variable rate home loan is more flexible and can offer you a lot of additional features and services. Among them is the ability have redraw and offset facilities, which can be handy as you go through life and need to access extra money. You can also make extra payments with standard variable loans, without being penalised or being charged extra fees. Finally, a standard variable loan allows you to split your loan into variable and fixed, if circumstances change. This can help with budgeting and can give you the peace of mind of knowing exactly how much your repayments will be for part of your loan. Why do variable interest rates change? There are many reasons why the interest rate of a variable loan can change, and it all comes down to the lender. The most public reason is an official rate change from the Reserve Bank. The Reserve Bank meets monthly, and discusses whether or not to change the official cash rate. The cash rate is how much the Reserve Bank charges lenders for overnight loans, and if they increase that rate, lenders often respond. When the Reserve Bank decreases the rate, there is pressure on the major lenders to do the same. However, that isn’t always the case. Recent times have seen the major banks and lenders move independently of the Reserve Bank, which takes into consideration international events, and the state of the Australian economy when making its decisions. The Reserve Bank is keen to grow Australia’s economy, without overheating it. Bank and lenders can also react to their own lending costs or regulation changes, and even pressure from their shareholders to increase their own financial positions. If your bank or lender does increase your variable rate, and they will give you plenty of warning when they do, that can be a good time to shop around and see what other variable mortgages are suitable. You can compare our variable rate mortgages to see how they stack up with what you are currently being charged. Then, get in contact with us and we can give your current loan a free health check. What kind of loans can I get a variable mortgage with? You will find variable rate mortgages across a range of our different loan types. If you are buying your first home, second home, or even third home, a variable loan can be the right option for you and your family. If you have decided to buy an investment property, combining the equity in your current home with an investment loan can be a real winner. And if you are building your home, one of our construction variable rate loans can take a lot of stress out of building. There are variable mortgage options dotted across most of our loan types, so take a close look and compare what we can offer, and check out our very competitive rates. How do I compare variable loan options? Comparing variable rate mortgages can be tough, given the amount there are on offer. The first thing to remember is that a lot of the attractive introductory interest rate offers can be for new loans only. That’s important to note, especially if you are looking to refinance your existing mortgage. 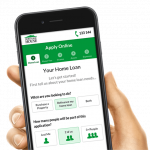 At Mortgage House, you can compare up to five home loans side by side online at any one time, allowing you to see immediately how our loans stack up against what the banks and other major lenders are offering. We think you will be surprised by what you find. The first thing to take into account is, obviously, the interest rate. Use our calculator to work out what your repayments will be, and don’t forget to add an extra bit of interest rate room to help you see what you might be paying per week or month if rates rise. Is a variable or fixed interest rate better? Whether you choose a fixed interest rate mortgage or a variable rate home loan, it is up to you. Both have advantages, and both can be suitable for your property needs. A fixed rate home loan means your repayments will stay the same over the agreed period, usually between 1 and 5 years, which can be important if you are looking for budget stability and security. A variable rate home loan, however, can see your repayment amount increase or decrease over the life of the loan, whether that’s 15 years, 25 years or even 30 years. Variable rate home loans can be more flexible than fixed-rate loans and can include a larger range of features. No matter what type of real estate you are buying, Mortgage House can provide a suitable home loan for you, whether you are after a principal and interest loan, or an interest-only loan. If you’re looking for an owner-occupied home loan or an investment mortgage, choosing between a variable rate or fixed rate loan can come down to your property objectives and financial situation. Speak with our expert lenders if you have any questions about which kind of loan may be suitable for you. How do you calculate the monthly repayment for a variable rate loan? When you are choosing a variable rate home loan, there are a lot of things to think about. Top of the list is usually your budget. Finding the best interest rate you can, and making sure you can afford the repayments, is at the forefront of most people’s minds. Between credit card payments, living expenses and those extra little treats you like to give yourself, whether or not you can afford interest rates increases is the last thing anyone wants to worry about. That’s where a mortgage calculator range can help. Our Mortgage Repayment Calculator can let you know what your repayments are likely to be with any home loan, and can help you simulate increases or decreases in interest rates. Keep the loan amount, loan period, loan type and introductory rate information the same when you use the calculator, but adjust the interest rate amount. The monthly, weekly or fortnightly repayment amounts will adjust accordingly, giving you a clearer picture of how it will impact on your budget. As a home buyer, Mortgage House wants you to have as much information available as possible before you choose a home loan. Our mortgage calculator range is just one of the many resources Mortgage House customers have told us they need. Can you get low-doc variable rate loans? Low-doc is short for low documentation, and low doc loans are a way for those who may not have access to the full range of documents banks and lenders require to approve a home loan, to take out a mortgage. Low doc home loans can be suitable for contractors, small business owners and freelancers, who can either self-certify their income or provide evidence through tax returns when they apply for a home loan. Mortgage House has a range of both variable rate and fixed rate low doc home loans to choose from. It’s important to remember that low doc interest rates can be a little higher than regular variable rate or fixed rate mortgages, given the extra risk taken on by the bank or lender. It’s also important to understand low doc loans often come with the requirement to take out Lenders Mortgage Insurance, an important protection for the lender and something that is very common in Australia. Whatever your loan amount, contact our expert lenders if you have any questions about documentation, before you apply for a home loan. An offset account, or an Offset Facility as it is often known, can be one of the many features of a lot of variable rate home loans, and it can save you money. To put it simply, you can use a non-interest-bearing bank account to offset the interest on your mortgage. Interest is calculated on the difference between the two accounts, rather than just the amount in your home loan account. For example, if you have a $500,000 home loan, and $30,000 in an offset account, the interest will be calculated on $470,000, not $500,000. Obviously, as those amounts change, so will the interest calculation. What should you consider when comparing variable rate home loans? The first things to consider when comparing variable rate home loans is your property objectives and financial situation. That will help guide you regarding interest rates and repayment amounts. Also look at comparison rates, which are an indication of the true cost of the mortgage over the life of the loan, with fees taken into account. Look at the features and flexibility of each variable rate home loan, whether or not you can make extra repayments if you want to without being penalised, and whether you have access to Redraw Facility. Don’t forget to take stamp duty into account when you are considering your preferred loan amount.